Planet-hunting bears some similarity to tracking a rare species through the jungle. There are a variety of ways to know that it's there, most of which are indirect: The leaves rustling. The undergrowth is trampled. The animal's shadow appears for a fleeting moment before it fades away again. It is much the same with planets. We can detect them moving their parent planets ever-so-slightly via Doppler shift. 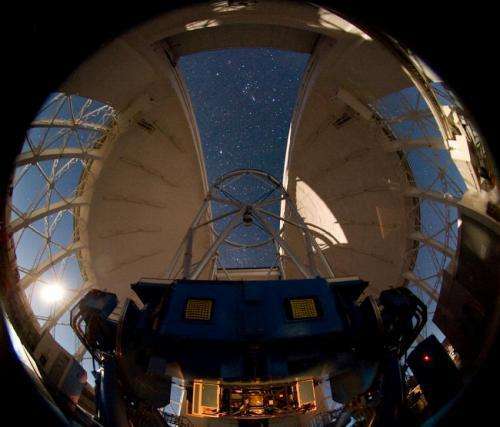 We can see the light from that star dim as an exoplanet-or the planet's shadow-passes in front of it. Once in a while, a young star's dust disk will have a gap in it, from which we infer the presence of a formed or forming planet. These detection methods have allowed us to catalog over 1700 exoplanets since 1994. Naturally, ultimate achievement in observation is to see the species or the planet with our own eyes. That's what the Gemini Planet Imager does best: direct detection of exoplanets. Technically, direct detection means spatially resolving the light of a planet from the light of its parent star: taking a picture of the planet itself. 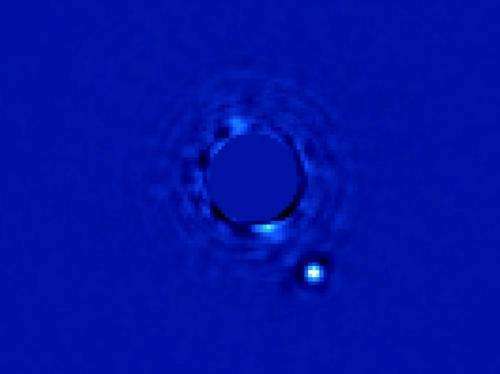 Before GPI, there were serious limitations to our ability to photograph an exoplanet. The photographic exposure had to be long and the contrast between the star and the exoplanet had to be high. With GPI, what used to be a one-hour photo has become a one-minute photo. The contrast can be three orders of magnitude lower - the planet can be 1000 times dimmer - and the photo will still turn out. GPI can also supply information about the exoplanet's atmospheric composition and interactions with nearby objects such as asteroid belts. GPI was deployed on the 8-m Gemini South telescope in Chile. Its first image or "first light" took place in November 2013. Since then, GPI has done an unprecedented job of capturing Jupiter-sized objects around stars similar to our Sun. While GPI can't see objects as small as Earth-sized planets, the technology used to make GPI's remarkable images may be able to take us to new levels of observation by watching planets like Beta Pictoris b pass in front of their stars. Planetary transits reveal an abundance of information about a planet, including mass and density, precise information about the orbit, and sometimes information about other planets in the system. "It's a step on the road," said Bruce Macintosh, professor of physics at Stamford and the principal investigator on the international planet-hunting project. "Some day a future space telescope will use the same technology, and be able to see an Earth around one of these nearby stars." Any stars proved to have no planets yet? Would that be possible to prove with this technology? "tracking a rare species through the jungle." It seems Jupiter-sized and Jumbo-Jupiters are not so rare. The real rare species, small rocky Earth-sized planets in the goldilocks zone is what we're really hunting. This is a good start but we need to continue to improve upon this technology. And without a doubt we certainly will.